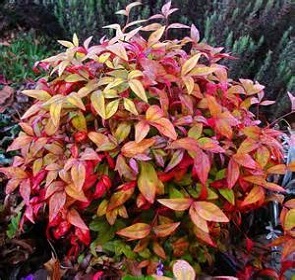 'Firepower' nandina is a noninvasive selection of the invasive ornamental, Nandina domestica. It's a low-growing, broadleaf evergreen shrub characterized by upright stems that emerge from a crown-like structure at the soil surface. Growth is dense and compact, resulting in the overall effect of a mounded plant form. Firepower differs from the species type of Nandina domestica in being distinctly compact, significantly shorter and in having broader leaflets that typically are lighter green in summer and more red in winter.